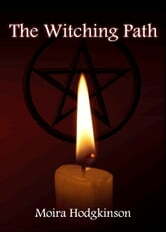 Finding your personal path within the sphere of Wicca and feeling at ease and content with it can take time, but once the right path has been found, we experience with it a sense of fulfilment or contentment. These feelings are common among Pagans and Wiccans who say that finding their religion or life-path felt like 'coming home'. Contrary to other faiths, Wicca gives us the power to be our own Priestess or Priest, we are not told how to act or how to worship, except in very basic terms. It is one of the beauties of the Craft that we are free to practice as we see fit and are not beholden to any strict dogmatic chains that would tie us down. We are free to fly and explore for ourselves, knowing there are plenty of resources available to help us smooth our path. Beginning with some of the most frequently asked questions, this book aims to be a springboard to your own creative and magical ability. Each chapter of the book gives ideas to get you started and you will get the most out of it by keeping an open mind and remembering that some of it may not apply to you and that is perfectly acceptable; witches are first and foremost individuals, after all. There are chapters on sacred tools and sacred space, journeying and environmental activism, a particularly excellent section on elemental working and other sections covering the deities, seasonal rites and finally items for spells and a selection of pre-written spells which can easily be adapted. This is a straightforward and very effective book. The author doesn't even know the difference between a witch and a wiccan.